It will officially be Fall in just a couple of weeks, and this girl is ready! Bring on the pumpkin patches, cooler weather, snuggly sweaters and boots, football season, apple pickin' and all the Fall goodness! Fall is my all-time favorite season, and it's perfect for gathering with friends and family around a table of goodies. If you know me, you know neutral is my jam. I love the calming palette of muted colors and how relaxing they make a space feel. And I really love using neutral colors to decorate for Fall since it's so unexpected and non-traditional. I have been Pinning away, looking for inspiration as I create my own neutral fall tablescape, which I'll be sharing with you guys soon. (Edit: Check out my Simple, Neutral Fall Tablescape [here].) 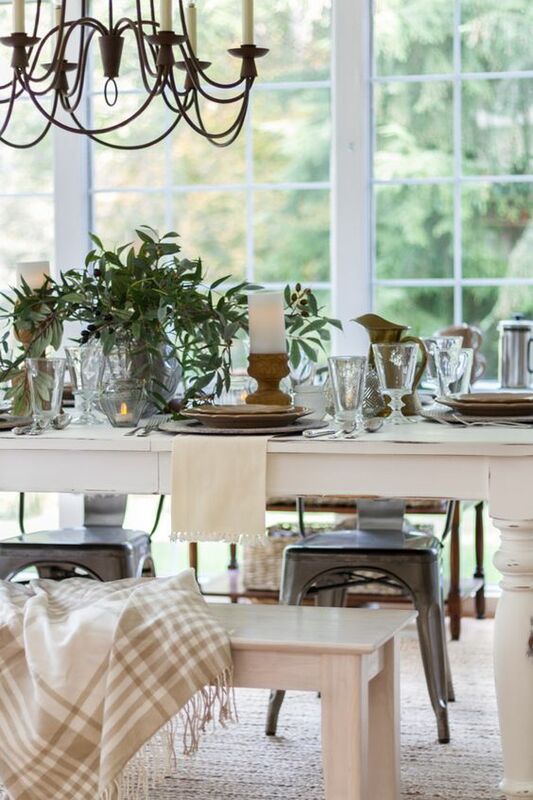 But for now, I've rounded up 12 Gorgeous Neutral Fall Tablescapes to inspire you to create your own beautiful Fall creations. If you'll just excuse me while I pick my jaw up off the floor. I mean, can you say amazing?! 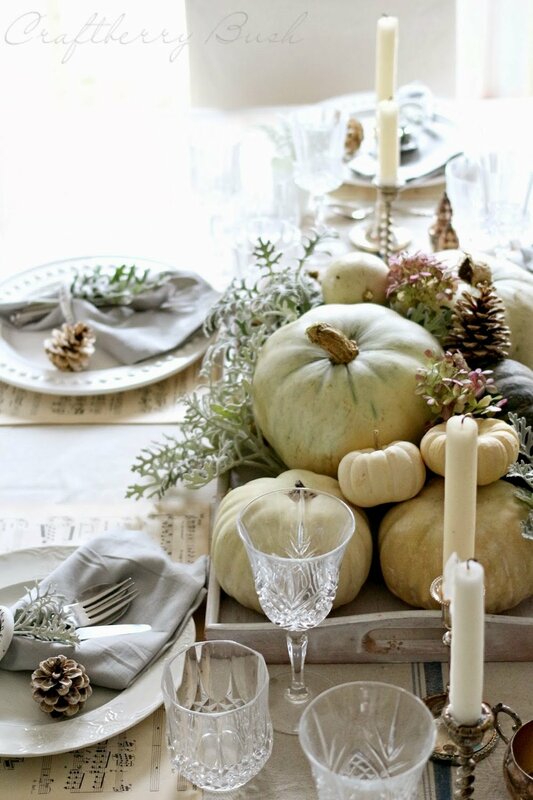 I hope you've been inspired to create your own gorgeous tablescapes this Fall! And if you want even more table inspiration, follow me on Instagram @juliewarnockinteriors. On September 15, I'll be participating in a fall tablescape loop with several other talented bloggers and instagrammers, and we'll be showing off our tablescapes for you to see! I've also teamed up with a talented group of bloggers to show you our fall home tours. The fall home tours also go live on September 15, and I promise, you won't want to miss them!